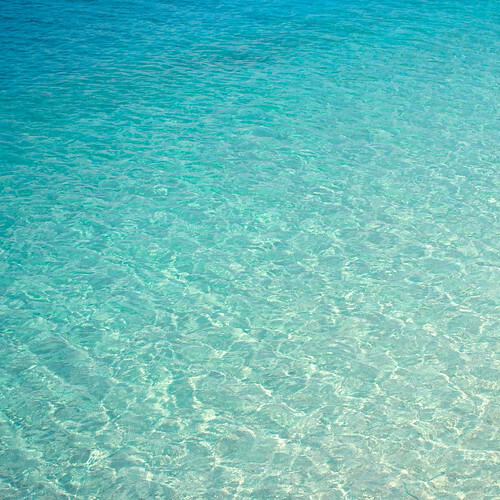 Believe it or not, there is so much more to this region than wine. 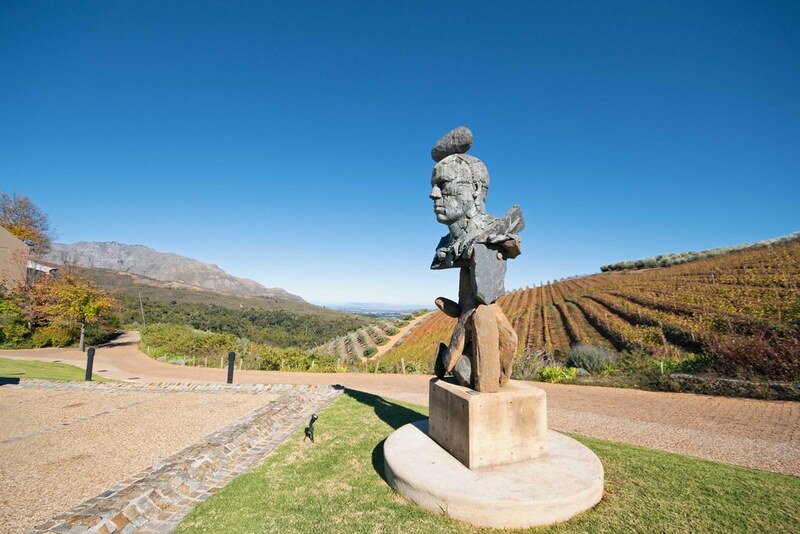 People from around the globe usually flock to Stellenbosch for the glorious vineyard delights, the promise of smelling and sipping the fruits of various cultivars and wandering through wine cellars. 1. 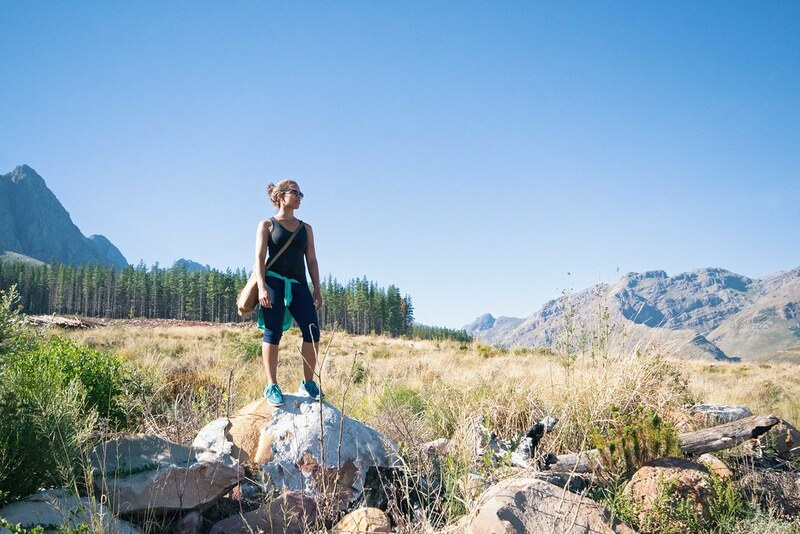 Hikes and trails in Jonkershoek Nature Reserve. Together with our guide, Reino, from Adventure Shop, we set off in the coolness of the morning and stepped over streams, brushed past a forest of ferns and trailed beside the Jonkershoek Mountains. 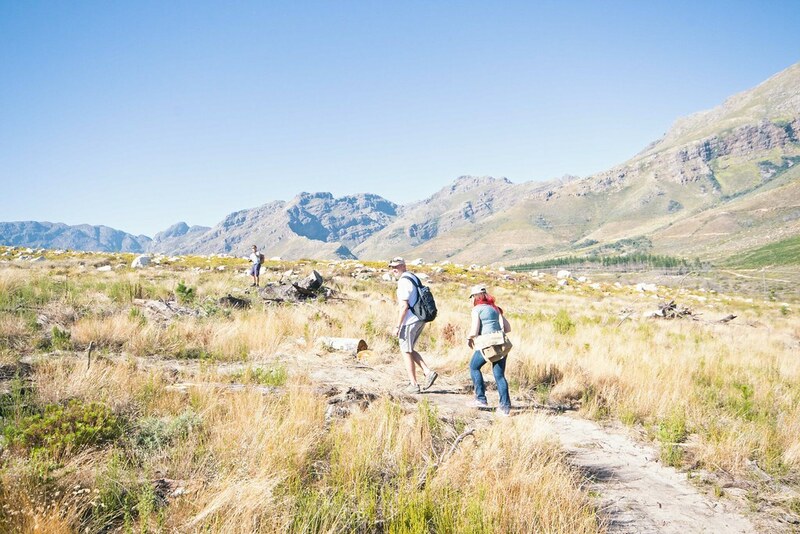 There are many trails you can do without a guide and once you’ve paid the conservation fee of R40 for adults and R20 for kids, you can grab a map and explore this outdoor wonderland. Whilst I love trails, I’m not the best with intense inclines, so the route we took in the reserve past the foothills of the mountain, beside a forest of pines and back down past the dam suited me perfectly. It’s always best to hike in a group and wear layers of clothing as the mornings can be quite chilly only to get very warm once the sun is out. Pack enough water and snacks for for your trail. To join a hike with a guide, visit Adventure Shop. 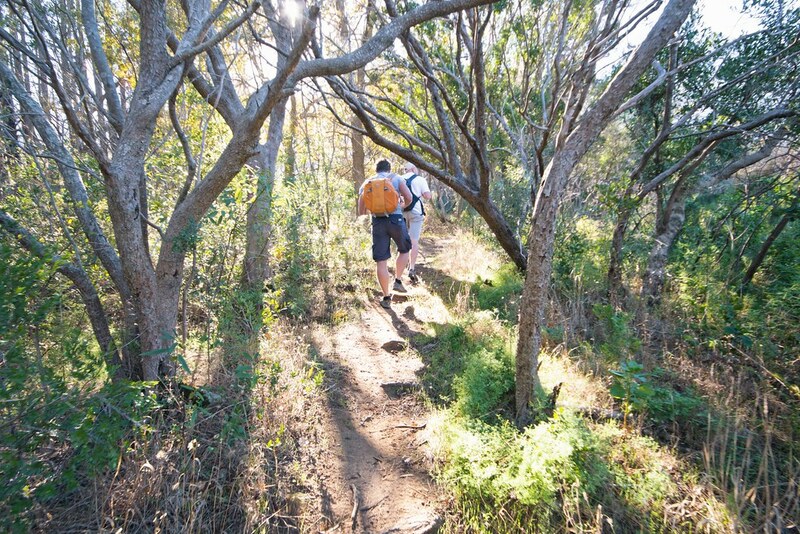 To enjoy a trail in a group, visit Jonkerhoeks Nature Reserve. Trailing through Jonkershoek Nature Reserve. First through the cool forest in the morning before the open trail in the sunshine. Jonkershoek with our Adventure Shop guide Reino. 2. Sidecar Exploration around Town. 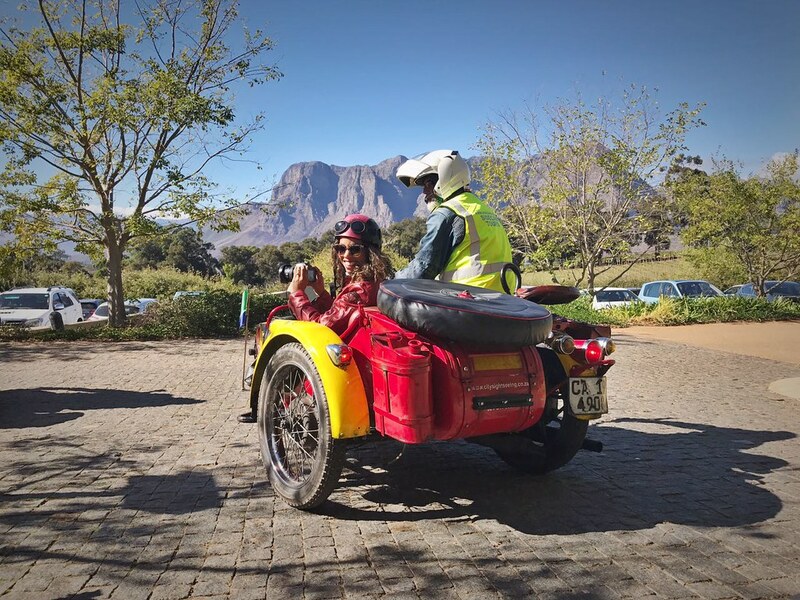 For those wishing to splurge, celebrate or do something completely out of the ordinary, I can’t recommend a Stellenbosch sidecar ride enough. It was without a doubt, the most fun I’ve ever had in this region and a truly unique way to see the town. With helmet, goggles and red leather jacket, I hopped into the sidecar and zoomed through the oak-lined streets of stellies, past hilly vineyards and surprised students milling about town. With the wind in my face, an additional leather cover over my legs to keep your warm and the sun out, I couldn’t imagine a better way to see this town I thought I knew so well. 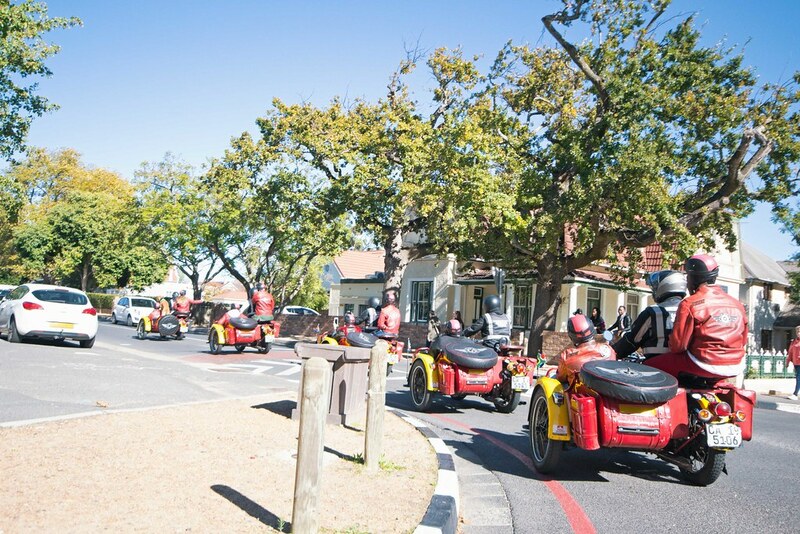 To book your trip, visit Cape Sidecar adventures. 3. Vinegar Tasting at Rozendal Guest Farm. With horses, a pig named truffles, chickens and other farm, animals; Rozendal Guest Farm is quite a goodie to visit with kids. 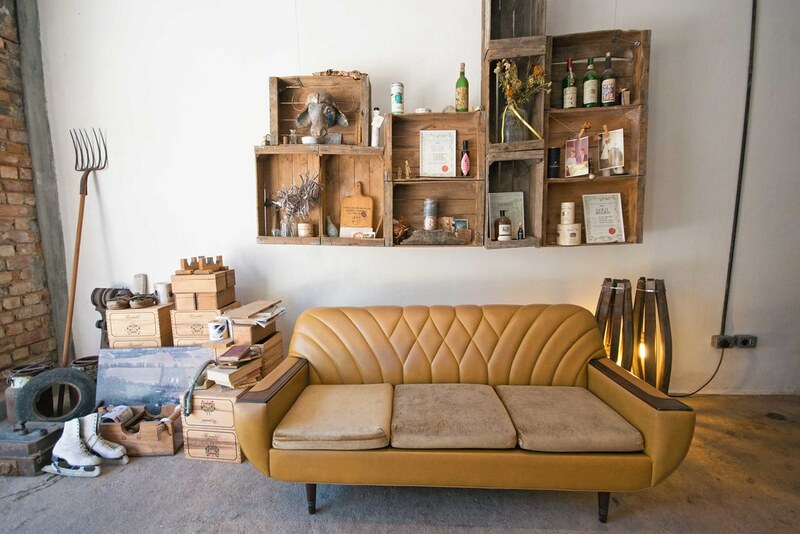 Once you’ve lured them away from the animals outside, duck into the warehouse housing vintage decor delights, botanicaly infusedl vinegars in oak barrels and a tasting room. Wild lavendar, buchu, vanilla, chilli, rosehip, geranium and other herbs decorate a long wooden table at the entrance. Alexander Ammann will take you to see and smell the vinegars ( some of which have been maturing for around 12 years) before returning to taste their balsamic-style vinegars. To be honest, the thought of tasting vinegar alone did not whip me into a thrill, however once I followed Alexander’s instructions to sip, swirl the vinegar around my mouth ( to heat it), it was no longer as sharp and really mellowed to taste quite superb. 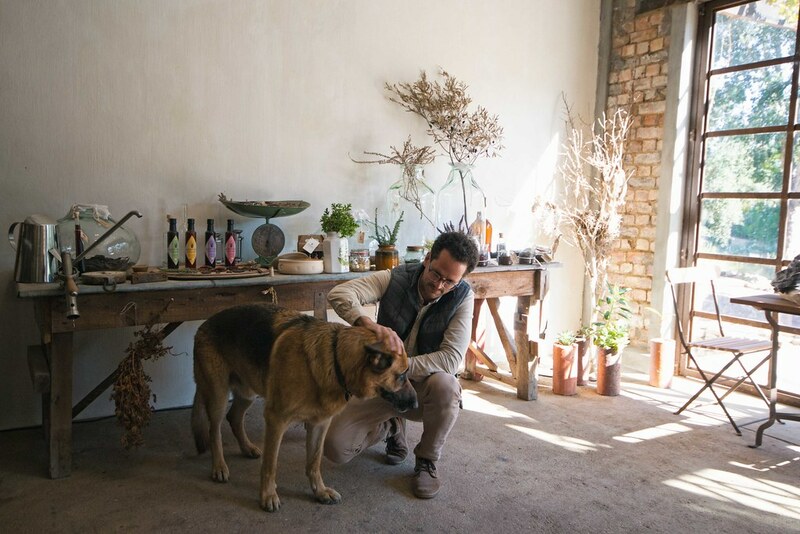 With no added preservatives or unnatural ingredients, their vinegars include fynbos, hibiscus, green tea and lavender vinegar; each known for various culinary and health benefits. 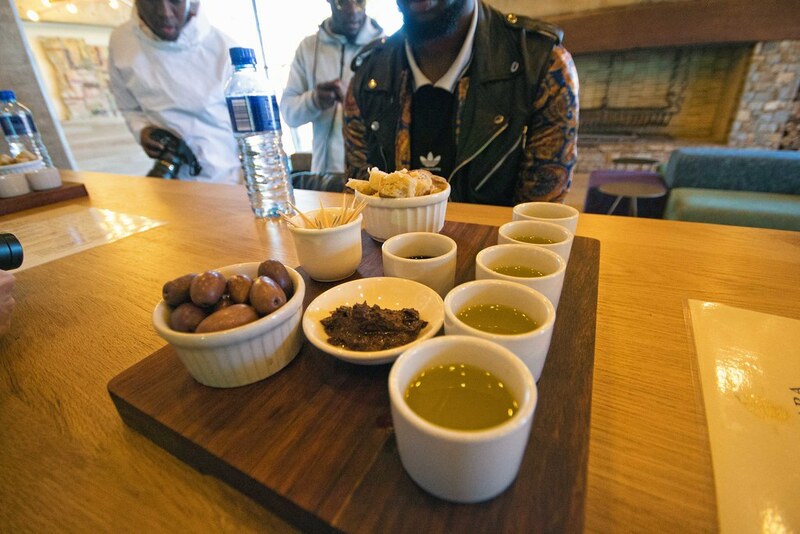 To book a vinegar tasting, visit Rozendal Guest Farm. Before we even sampled the vinegar, I loved this place! Alexander Ammann and his dog. 4. Kayamandi Township Walk and Dining with a local. Another corner of Stellenbosch I got to visit for the first time was the informal settlement of Kayamandi. 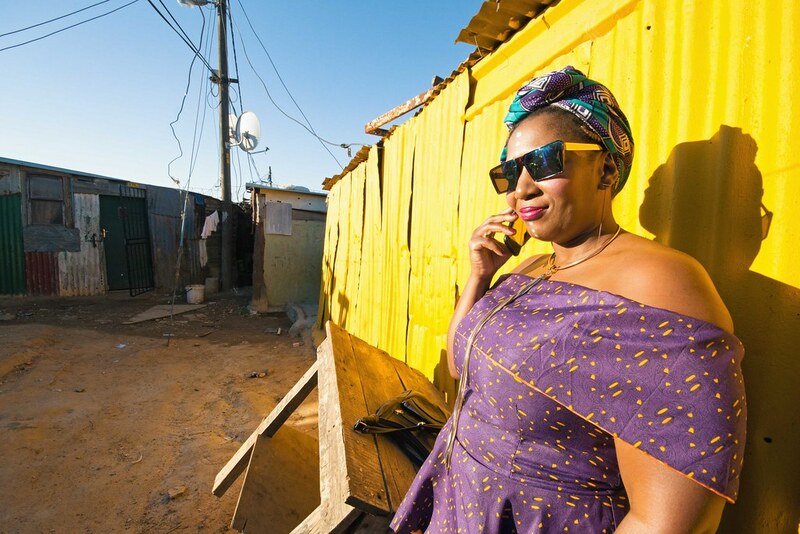 With the lovely local, Thembi, as our guide, she took us through tiny alleys, to say hi to her grandmother, visit the local braai restaurant and meet an entrepreneur running the #kasilam brand. ‘Kasilam’ meaning My place, my community and my town, he sells branded t-shirts to visitors and through social media. I passed salons in containers providing weaves and nail care, business women selling chicken feet and braaied corn and children doing hand stands in the street. 30 000 strong, this township was first only occupied by men who came to the city to find work. Thembi tells us that only in the 40’s, did the women move here to be with their husbands. The vivacious Thembi, our local guide in Kayamandi. Thembi with the owner of #kasilam brand, born and bred here in Kayamandi. A very serious game of dominoes at the meat restaurant. 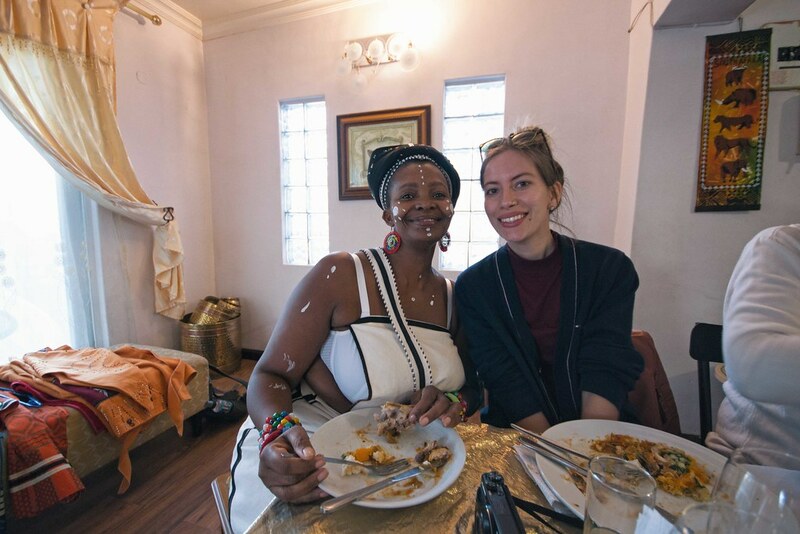 When visiting the township, I would definitely recommend including the ‘Dine with a local’ experience alongside a tour with Thembi. 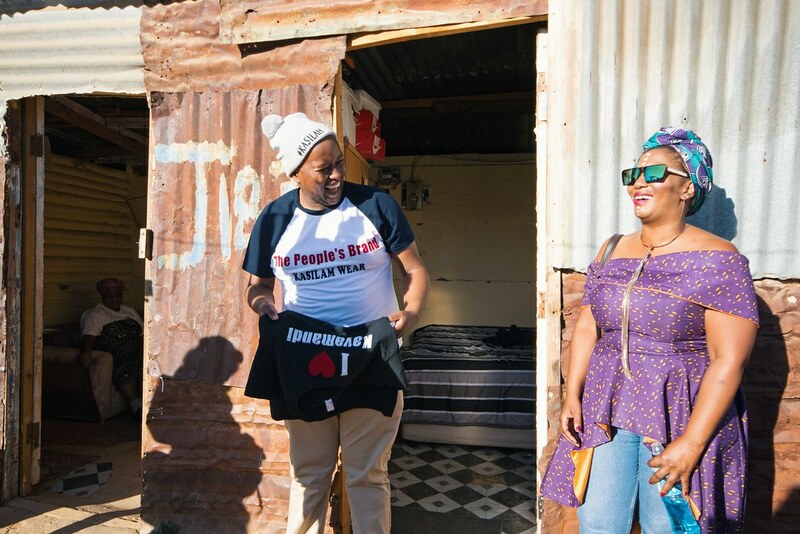 After visiting and dining with Nocawe, I was so inspired by these two women who grabbed entrepreneurial opportunities with both hands and starting running their own enterprises. Together with a team of workers, Nocawe prepares dishes such as chakalaka, spinach and pumpkin, chicken,pap and vetkoek. She does catering as well as dinner visits and says she can hardly keep up with all the work. Before our visit comes to an end she entertains us with a short dance and a song to the sound of her nephew’s drumming. Our incredible local host for the evening, Nocawe with Audrey from That Backpacker. 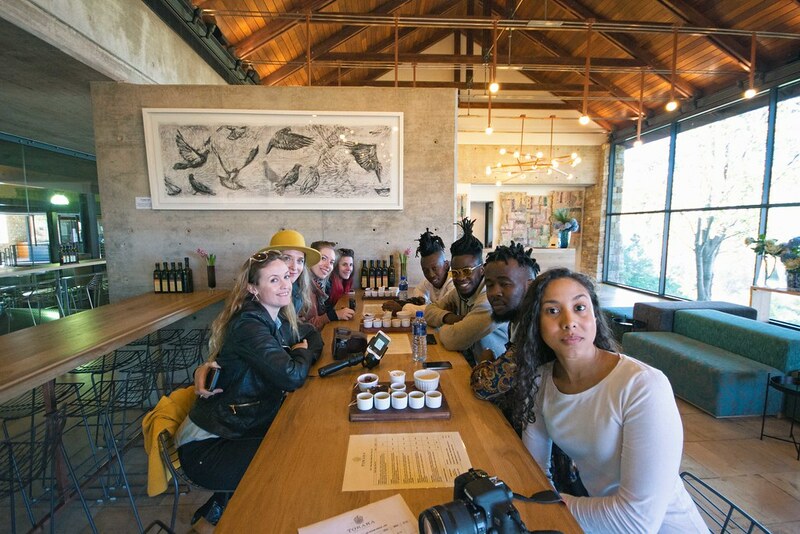 To book a Kayamandi Tour with Thembi and Dine with a local experience, visit Stellenbosch Travel. 5. 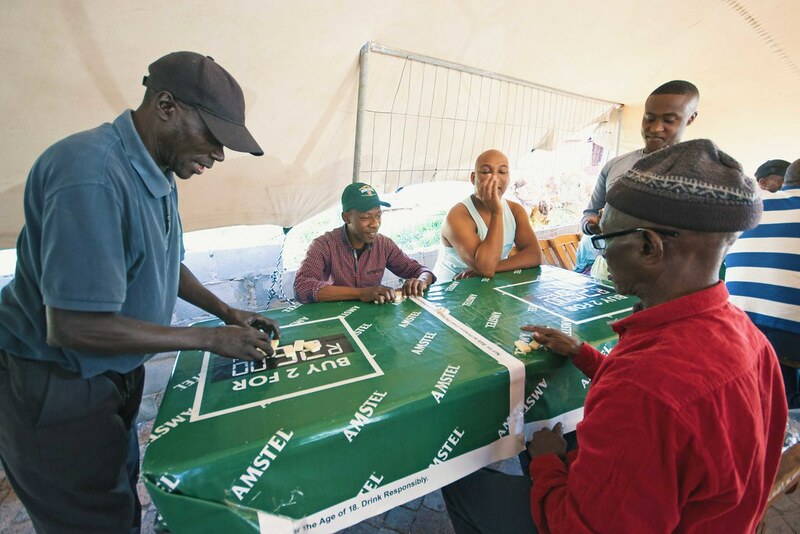 Boerebraai, Board Games and animals at Middlevlei. 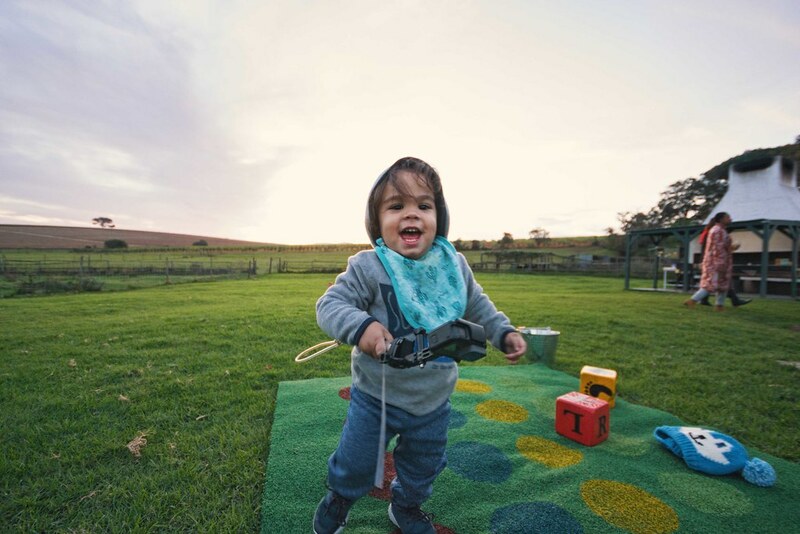 Even on a chilly evening, I was enthralled by a sunset explosion in the sky above the sweeping farmlands of middlevlei farm where a few donkeys stood beside the fence, where goats, wallabies and pigs delighted visiting kids and giant boardgames lay dotted along the lawn. Before planting myself beside a roaring fire inside, I stood beside the braai responsible for braaiing our chicken, meat and boerewors and made my own roostebrood ( roasted bread). Moer koffie on the go and chatter beside the fire, it was a brilliant thought to know someone else was braaiing for us. This is truly the perfect place for families to spend the day. 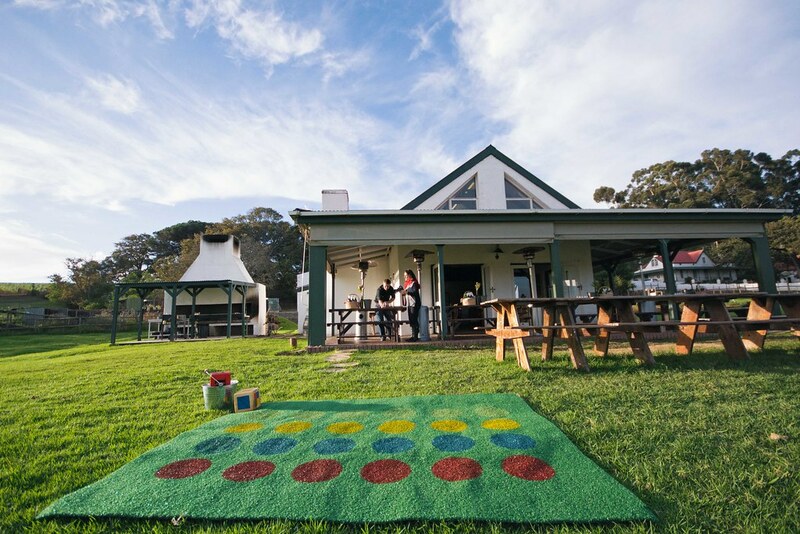 Animals, board games, a braai and a tractor ride ( if you ask the owner Ben very nicely) await. To book your table for a boerebraai, visit Middelvlei Wines. The gorgeous, laid-back Middel vlei all set with giant boardgames before the braai begins. 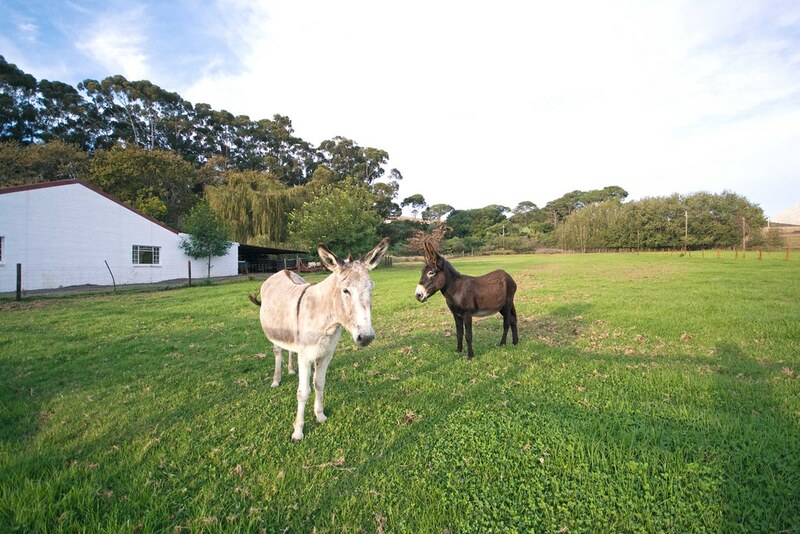 Farmyard delights in the form of donkeys, and other farm animals for kids to feed such as pigs, goats and even wallabies. It’s one of those perfect places where adults and kids can have tons of fun…at the same time. 6. Olive Oil Tasting and Breakfast at Tokara. Yet another tasting I never imagined I’d be doing and all within the stylish Tokara wine estate. Before sampling their extra virgin olive oils, you have to wander past incredible works of art, paintings and statues in the entrance-way. From the tasting, we walked up the hill past the vineyards and sweeping views of the valley and through the olive trees. The Tokara deli is a child’s and adult’s playground with outdoor play area, lawns, fountains, outdoor statues, indoor fire place and artisan products for purchase. Needless to say that champers and breakfast are a must here. Olive oil tasting at Tokara. Don’t forget to enjoy their art collection in the foyer. It’s not everyday you get to experience a tasting of extra virgin olive oils harvested from the land here. Tokara Wine Estate and Olive Farm. 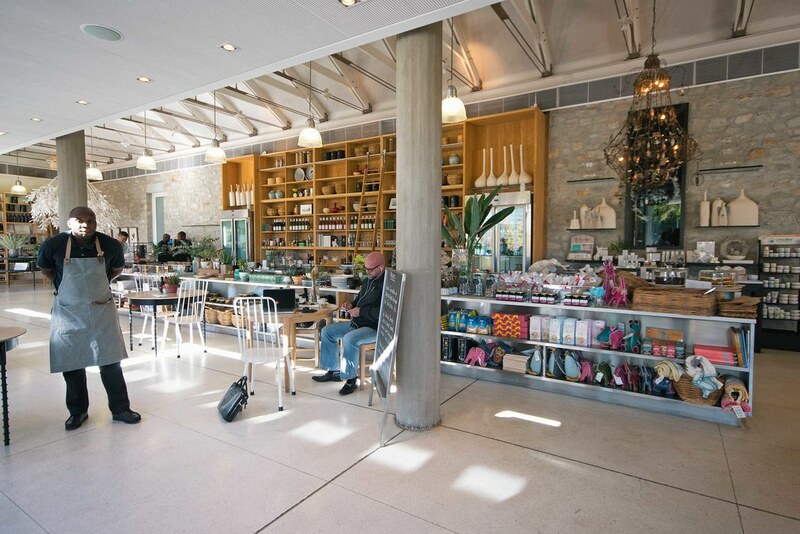 To book an olive oil tasting at Tokara or enjoy breakfast at their deli, visit Tokara Wine estate and Olive Farm. In a wine-filled world there is nothing more inviting than an indigenous gin tasting beside the fire. 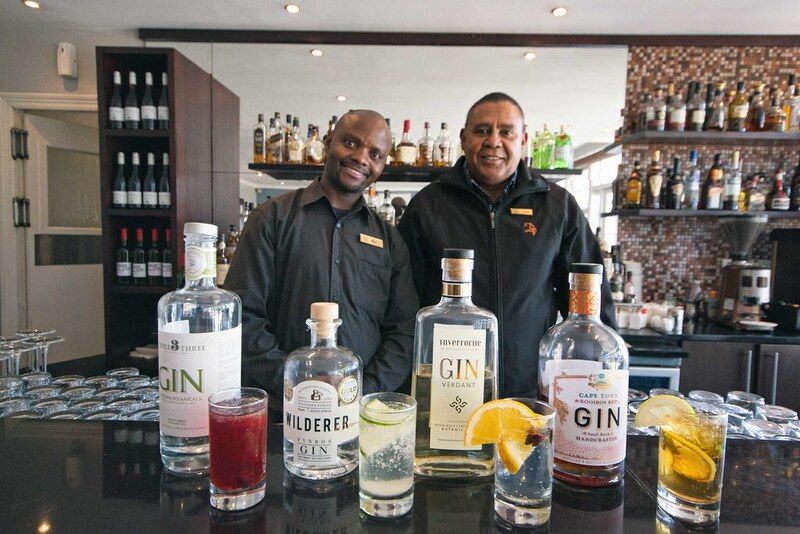 We tried the four gins of Blaauwklippen triple African Botanicals Gin with rosemary and cranberry juice, Wilderer Fynbos Gin with almond salt, cucumber and soda water; Inverroche Verdant with tonic water, orange slices and herbal infused bitters and lastly Cape Town Rooibos gin served with lemon iced tea, lemon slices and mint. What great combinations for winter. All best served beside a fireplace. 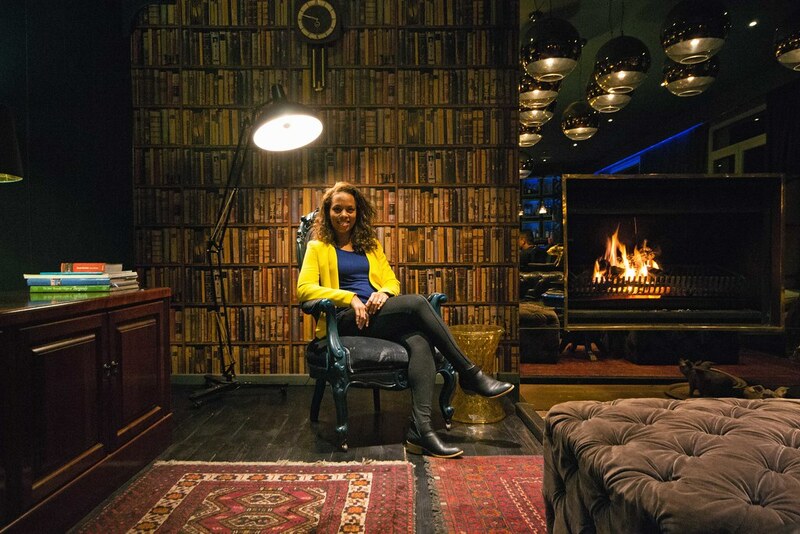 Gin tasting + fire place on a cold day = delight! Our wonderful barmen and hosts at Devon Valley. 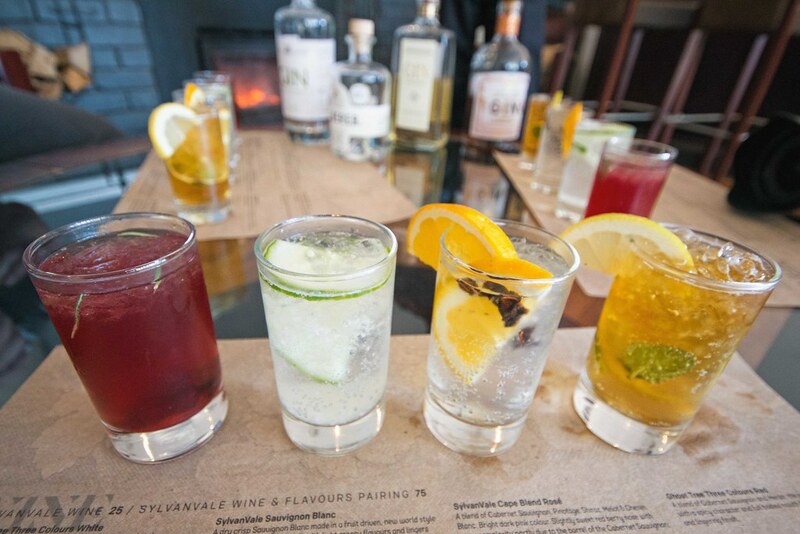 To book a gin tasting visit the Devon Valley Hotel. 8. Segway Tour, Hoghouse Lunch and cycling at Spier. After a few visits to Spier, I’m convinced that you could spend a few days here and still not get bored. 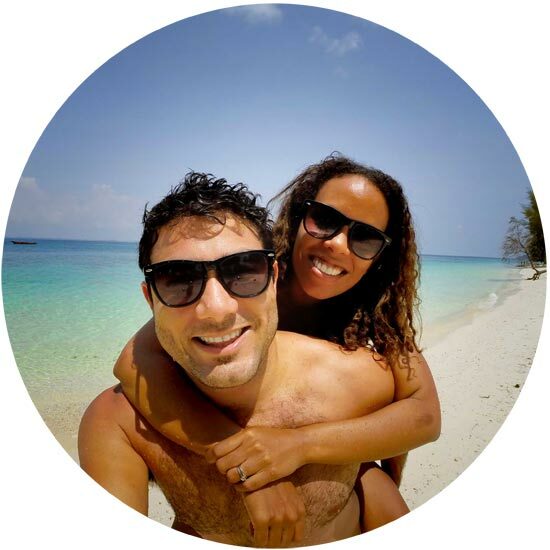 From renting one of their Qhubeka Buffalo Bicycles to browsing their impressive art collection displayed throughout the estate to a segway tour in and around the property. Especially with a family, Spier is best enjoyed at your leisure. 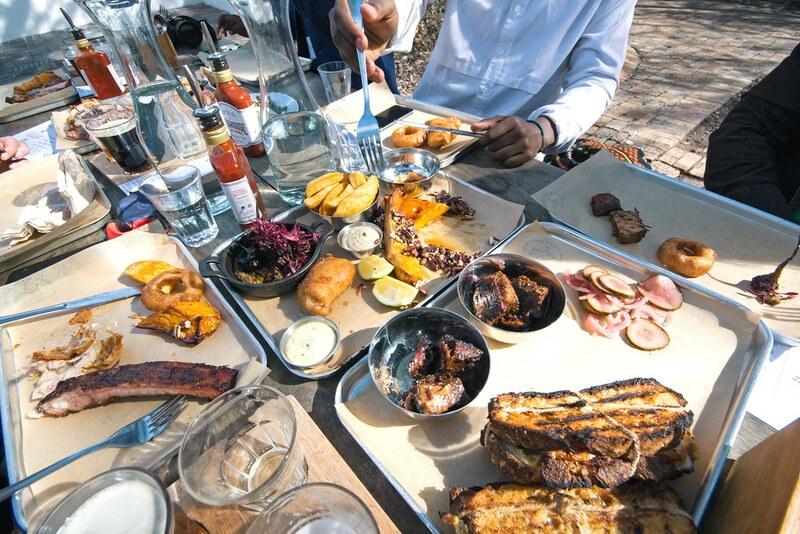 Savour the finest meats beneath the trees at the Hoghouse BBQ & Bakery, view South Africa’s first outdoor mosaic collection and grab picnic foods from Eight Restaurant deli and picnic on the lawns or at tables while the kids enjoy the jungle gyms, swings and sand pits outside. 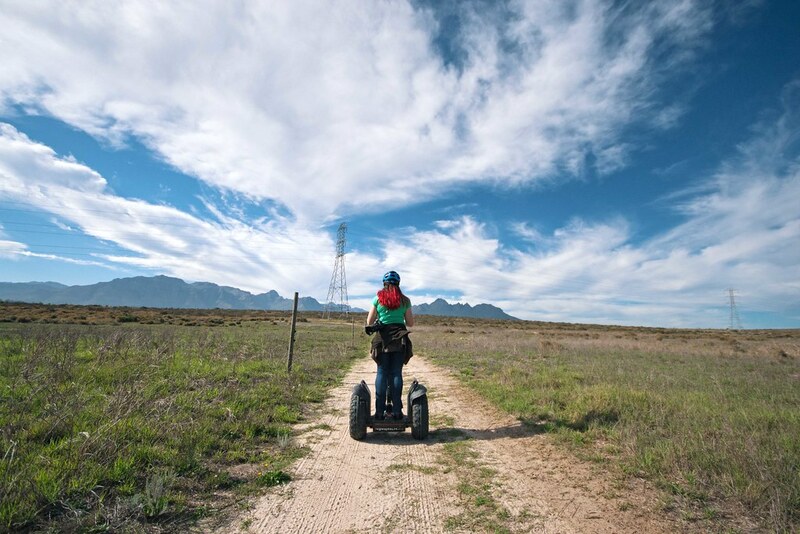 To book a Segway Tour, visit Spier and to enjoy a Hoghouse lunch and beer tasting, visit Hoghouse BBQ & Bakery. Heather Mason a.k.a Katniss Everdeen with her fiery hair ( from 2summers.com) on the segway tour at Spier. Lunchtime at Hoghouse in Spier. And what a feast! Meat of all kinds and flavours plus so much other goodness along with beer tasting at Hoghouse. 9. Foodie Delights at Majeka and Delaire Graff. Keen to eat art? Well then you best make sure to add Delaire Graff and the Makaron Restaurant at Majeka to your dinner list. 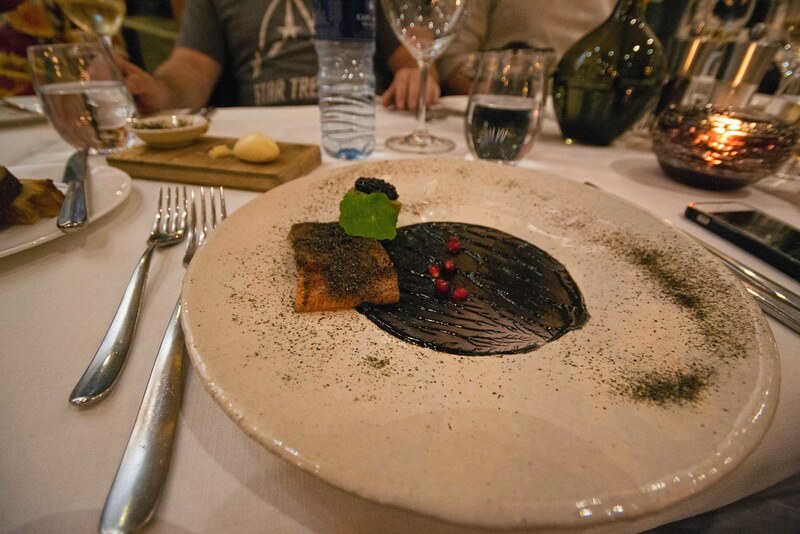 At Delaire Graff all within the theme of ‘Black magic’, chef Michael Deg produced true works of art with an intermediate dish of squid aioli, gin cured trout, caviar and charred cucumber and Mains of Josper roasted springbok loin, shoulder pastilla, orange sweet potato with chocolate jus. Every course beckoned for a photo and a frame. 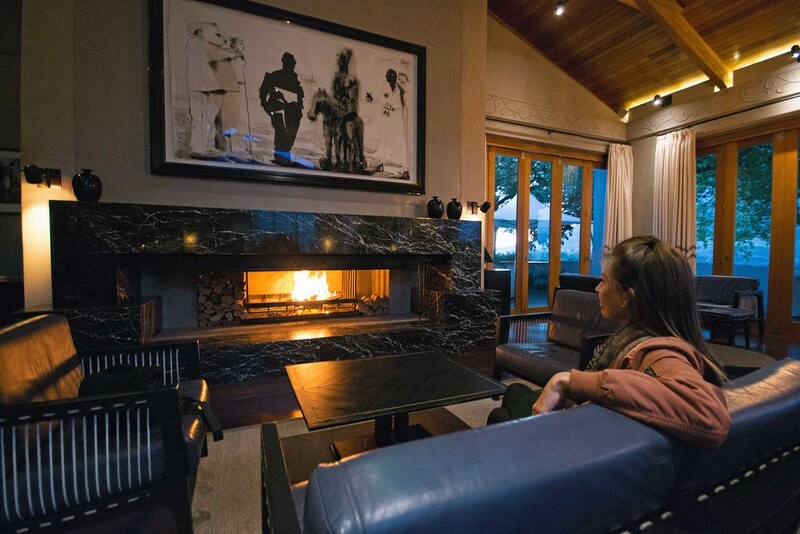 Fireside chilling in the Delaire Graffe Lounge. Audrey from That Backpacker. Even before eating, you could never get bored here. 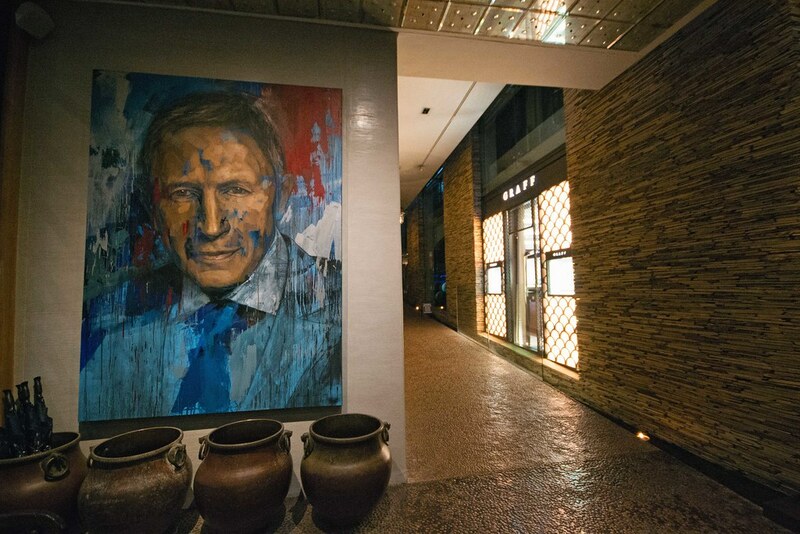 Explore the property which doubles up as an art gallery. To book a dinner at Delaire-Graff visit their Delaire. The Makaron Restaurant’s small plated dinner ( 4-6 small plates) gave multiple options allowing for maximum tasting opportunities. Some of my delicious choices included starters of heirloom tomato, white balsamic jelly, house ricotta with gazpacho granita follow by house made duck breast ham, baby figs and cos lettuce with mains of chalmar sirloin, umami butter and crispy onions. You may not be able to pronounce everything but you will be saying “Yes, Please” to every dish. 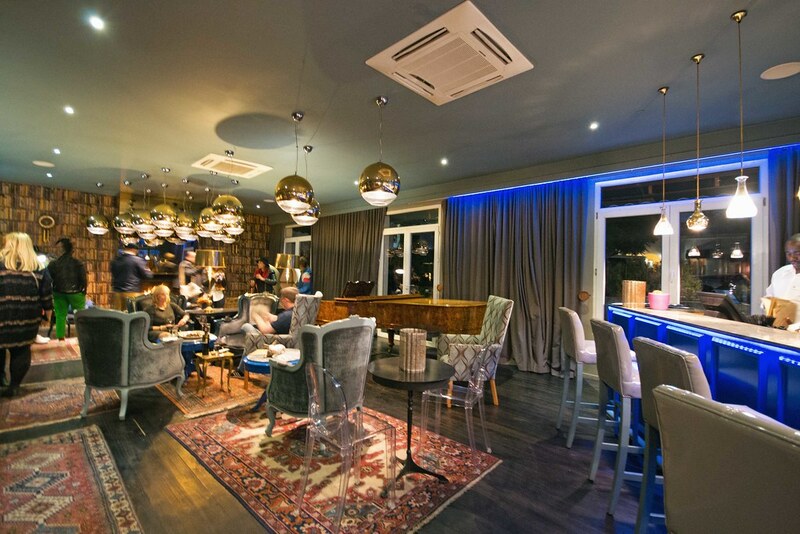 Enjoy the bar and lounge area at Majeka. To experience the new small plate menu at Makaron Restaurant, visit Majeka House. 10. Nougat and J.C le Roux Pairing. 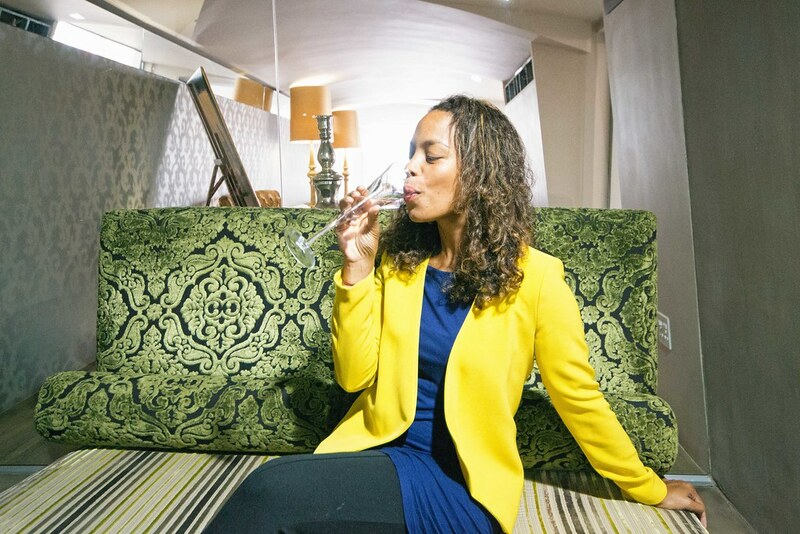 A firm lover of sparkling wine and MCC, I was quite excited to return to the House of J.C. Le Roux. The last time I visited the pairing involved turkish delight and sparkling wine, but this time there was nougat. Including my old favourite of La Fleurette and Brut, I sipped their new vibrazio range of Sauvignon Blanc, Demi Sec and Demi Sec Rose and loved it! Especially alongside various nougat flavours. Keep an eye out on the blog where I share a guide to Stellenbosch with kids. 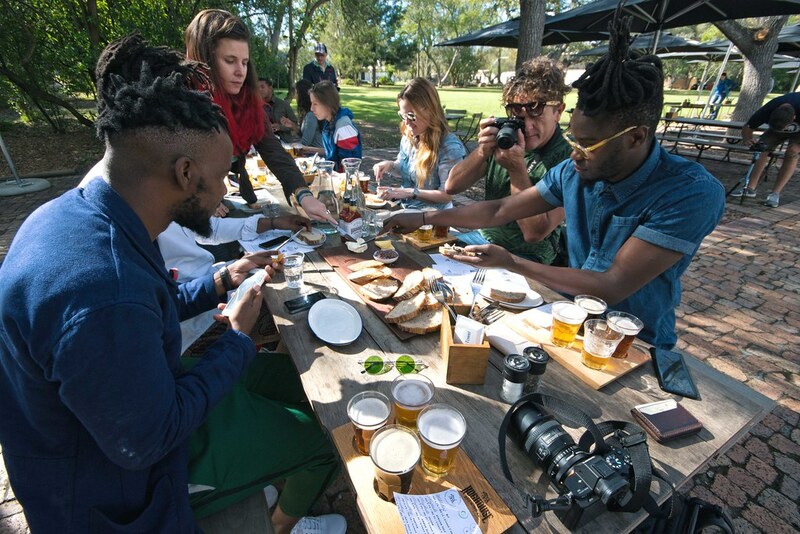 My visit to Stellenbosch was a part of the #stellenblog campaign. All views and opinions expressed are my own.